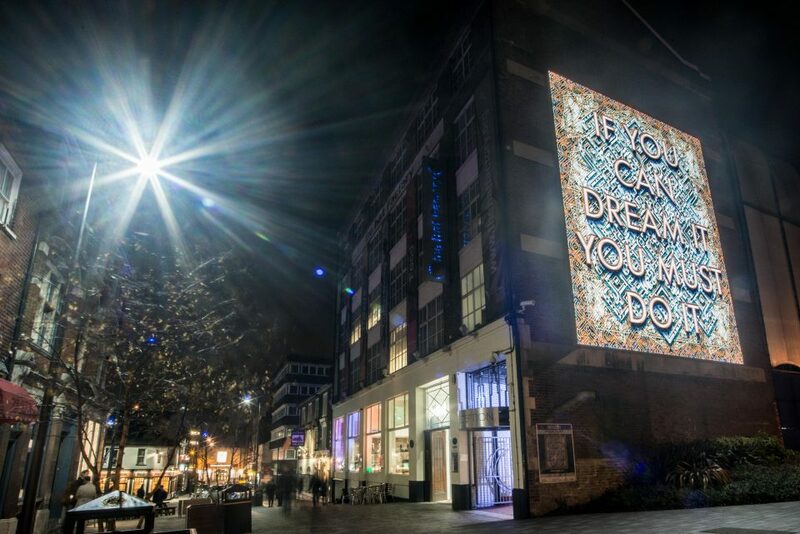 In December 2016, Mark Titchner, the lead artist for ‘As You Change, So Do I’ installed a major new public work in Luton town centre. 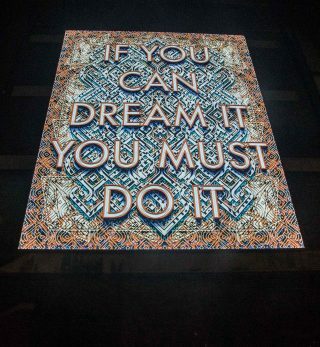 A monumental light box titled Beacon (2016) which occupies the gable end wall of The Hat Factory Arts Centre facing the approach from Luton’s central railway station. 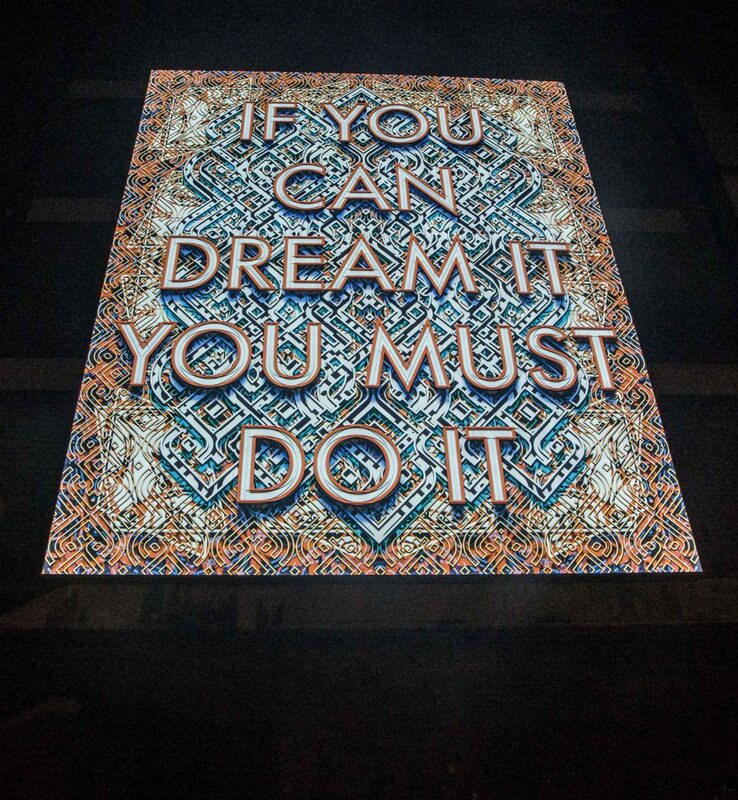 Utilising one of the artist’s trademark texts, commuters, local people and visitors are greeted by the slogan ‘If you can dream it, you must do it’. The linguistic diversity of Luton means that the number of dialects spoken in the town and its surrounding area has reached over one-hundred in total. 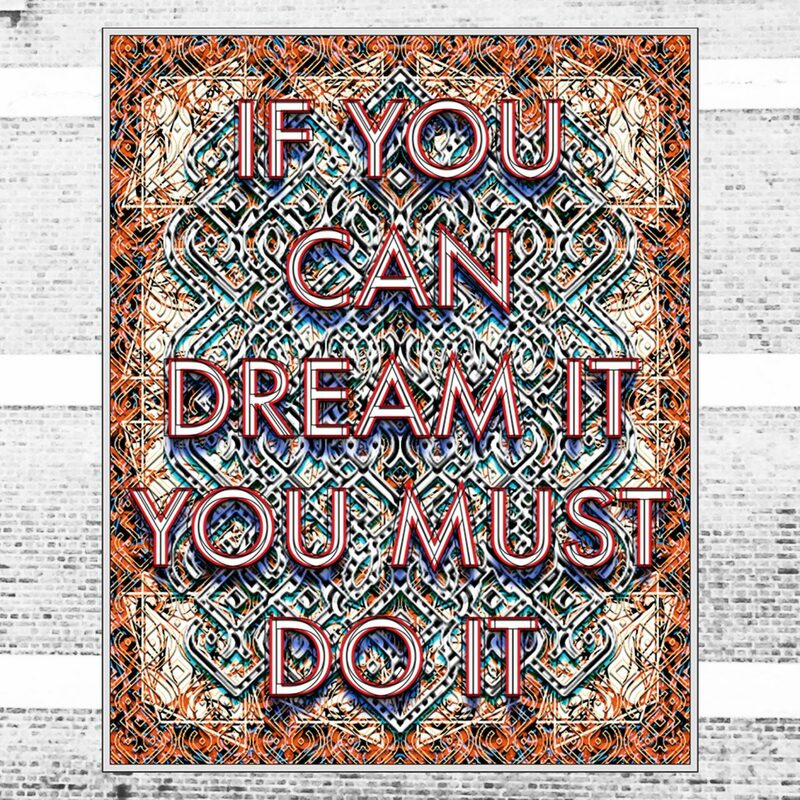 From late September 2016, Titchner has produced a number of related projects, including posters, in which the maxim ‘If you can dream it, you must do it’ is translated by local people into their varied vernaculars. 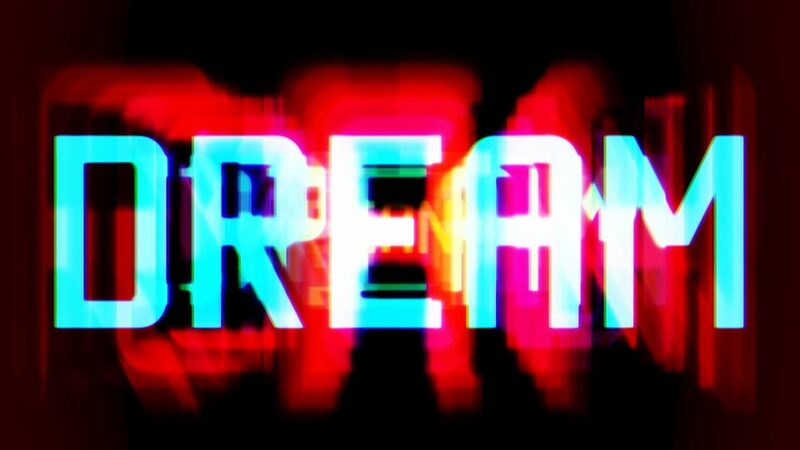 For the launch of ‘As You Change, So Do I’, Mark Titchner will produce a hypnotic new video in partnership with the contemporary artists’ multiple agency Sedition, which will be available for free as a downloadable art edition.